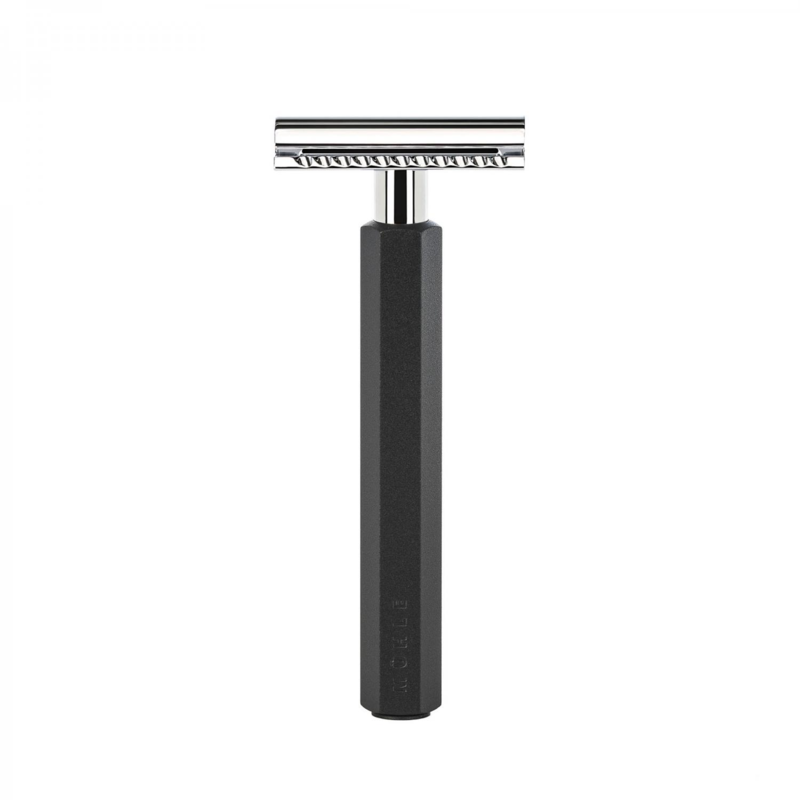 Muhle Hexagon Safety Razor Graphite Is a great DE razor. The new hexagon safety razor from Muhle has taken the shaving industry by storm. 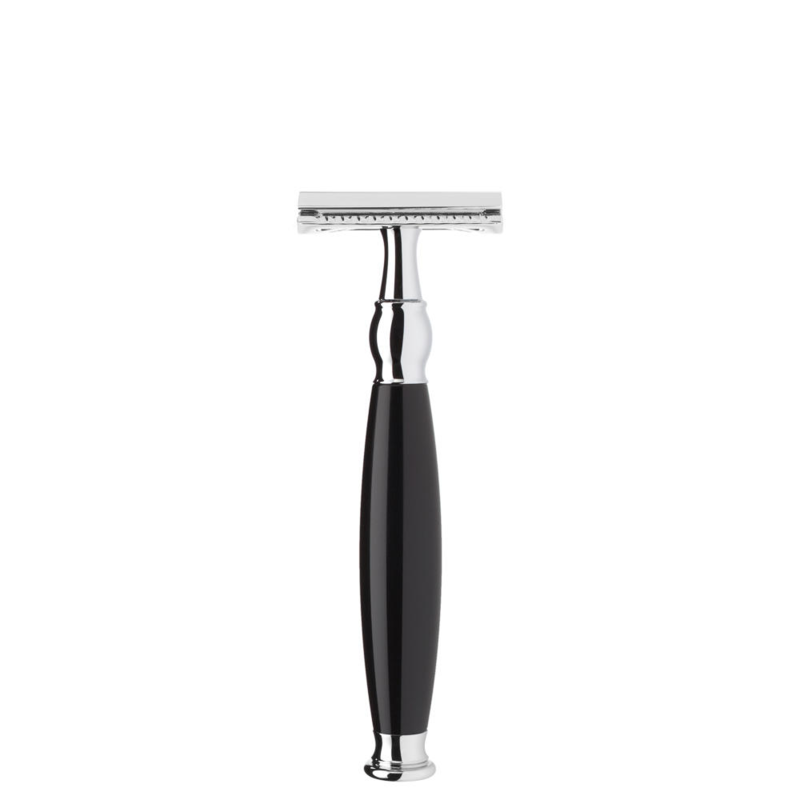 It’s unique shape allows for a sturdy grip and increased control whilst the deep shade of black and glossy finish overall make this razor a unique piece. Importantly, the DE razor head is set at a mid aggressive angle and is closed comb, allowing for intensified control and optimal utility- this razor is sure to access hard to reach places to ensure no area of your face is left unattended, with the closed comb specifically allowing for a decreased risk of cutting to give you peace of mind. Muhle Hexagon Safety Razor Graphite Is designed by Berlin based designer Mark Braun. He Is known for Iradescent colour and bold primary shapes. The Hexagon Is certainly all of those things. Also the build quality Is high, taking apart the 3 peice body you can really feel It. The head Is compatible with double edged razors and Is set at a middle aggressive angle. This will give you a close but protected shave. Another fun part Is the companies geographical points are stamped on the handle, giving this stealth bomber a military vibe. The materials are plated chrome and anodized aluminium. The black is not paint it is in fact a pigmant in the process. This is a great all rounder in terms of safety razor. It is recommendable to a beginner or a novice due to the level of protection it provides. Definitely the Muhle Hexagon Safety Razor Graphite will benefit from a firm blade. 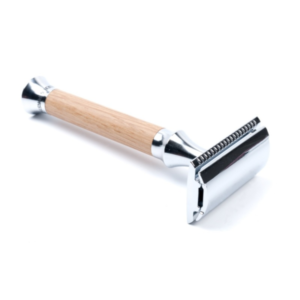 Muhle make a firm solid home brand razor that holds it’s edge very well. An extremely well made razor we have not had one returned. When you unscrew this excellent razor you realise it’s top engineering. For questions about this great razor why not get in touch in the contact page. This top razor is easily cleaned by taking it apart and rinsing in water. Muhle really do make safety razors to last a lifetime due to there excellent build and materials used. 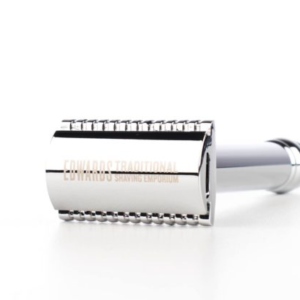 Engineered with precision, this razor feels great to handle. When you unscrew it you realize the excellent way it all fits together and dismantles. 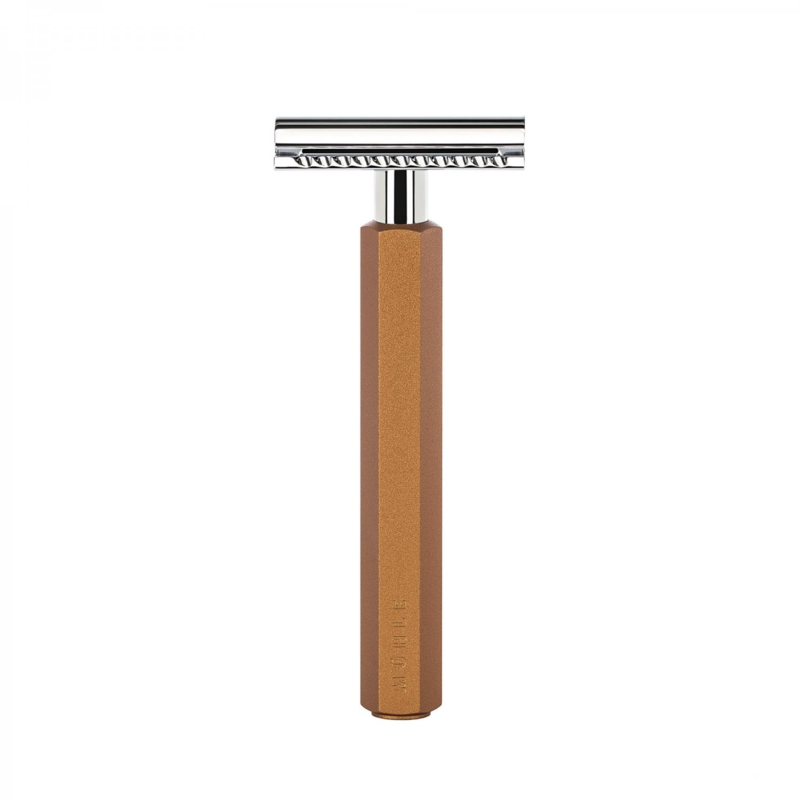 Shaving with a safety razor is a joy and to help you learn how to use one as well as we do. We have so much information on our blog for you to get a top shave.